Share by Đức Phạm! 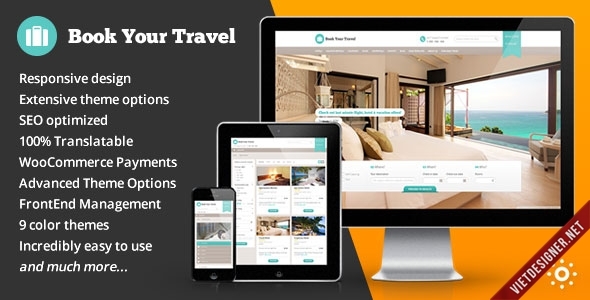 Book Your Travel – Online Booking WordPress Theme is a responsive WordPress Theme ideal forbooking portals, travel agencies, hotels, bed and breakfasts, guest houses, villas, etc. or travel blogs, but it would suit for any business with slight customizations.